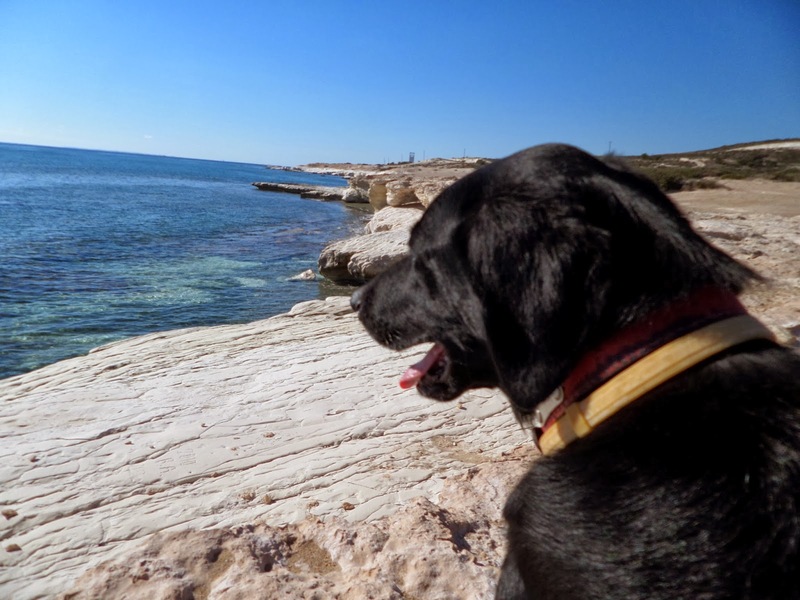 I have been making the most of winter, exploring parts of Cyprus that would be too busy in summer to go to with my dog. As well as being fewer people around, the weather is also much better for hiking and being outdoors, as you don't have to plan your day to avoid the midday heat, or carry litres and litres of water wherever you go. 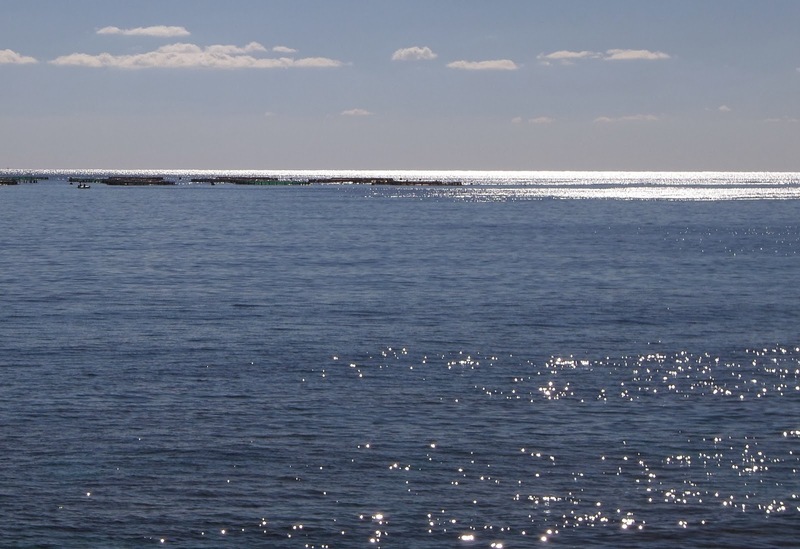 These photos are from a short trip we made to Governor's Beach, towards the end of December. I couldn't believe how many people were out and about, enjoying the beautiful sunny weather. 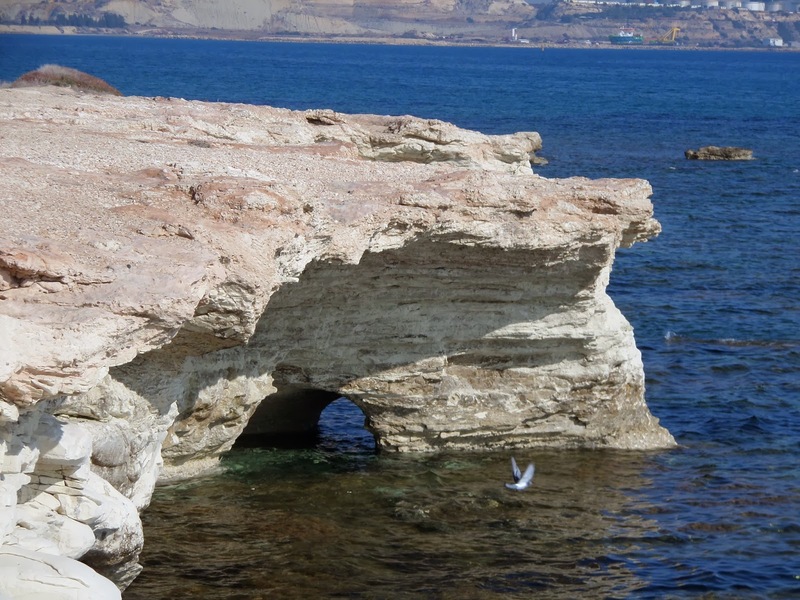 I saw people swimming from the sandy part of the beach, people out dog-walking along the rocks to the west of the tourist resort, countless small fishing boats waiting around the fish farms out in the bay... It was really glorious. 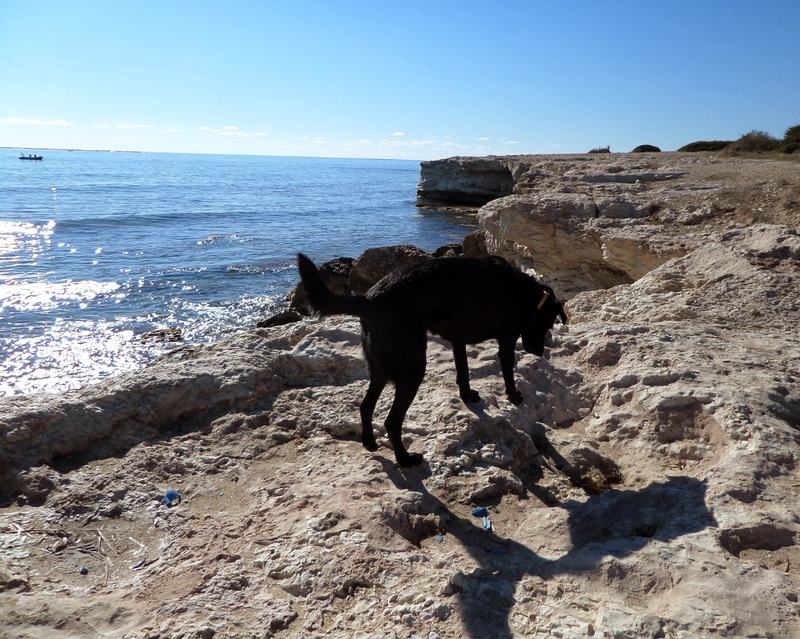 I had been avoiding this part of the coast, as Cyprus has such a busy coast, and such strict rules about dogs on beaches. 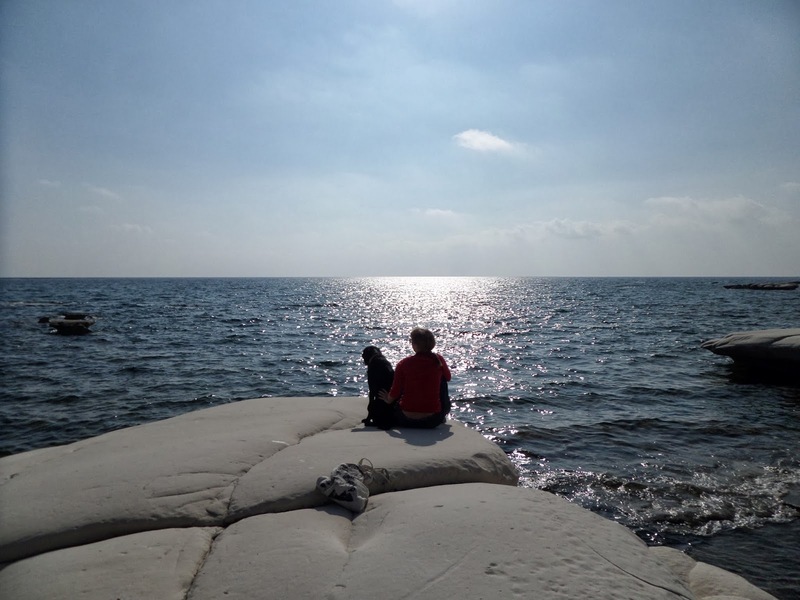 But this suits us fine - we can enjoy the seaside, the sandy beaches and the beautiful clear water, during the wintertime, and hide out inland during the summer. 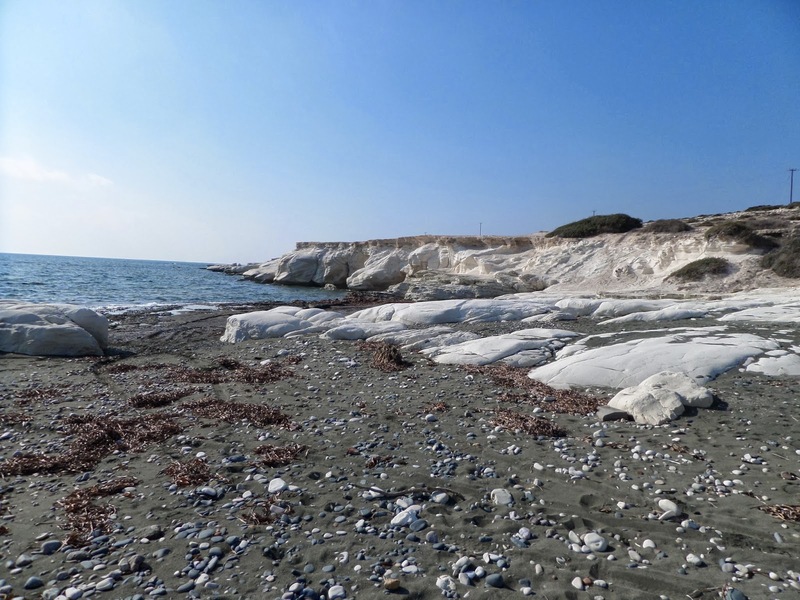 We could have continued around the coast along the rocks and small paths for about 4km, until Latchi Beach (Ayios Georgios Alamanou), but we mostly just wandered around admiring the view and sniffing rocks. I'll definitely go back and explore this coastal walking trail before the summer crowds arrive. We went back to this part of the coast yesterday, and took even more photos! 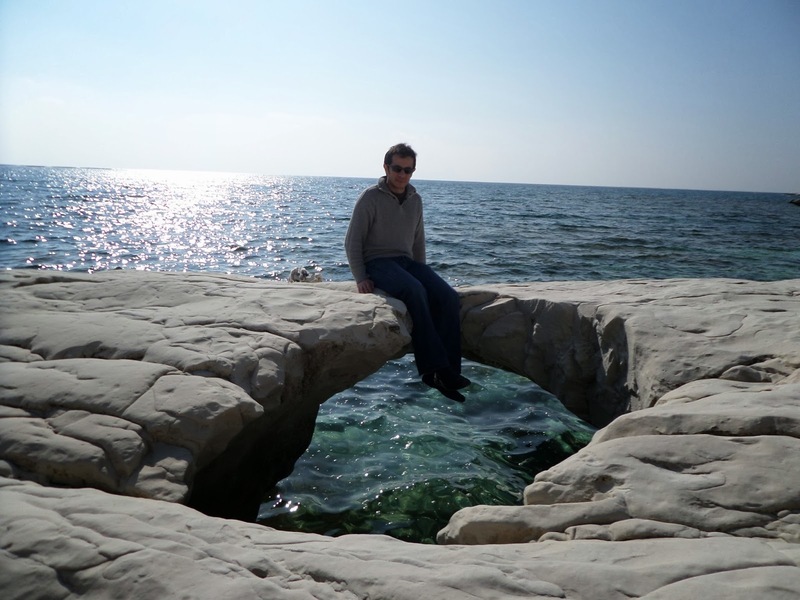 The sun glistening on the blue sea and the brilliant white of the chalky stone by the shore just demand photography. 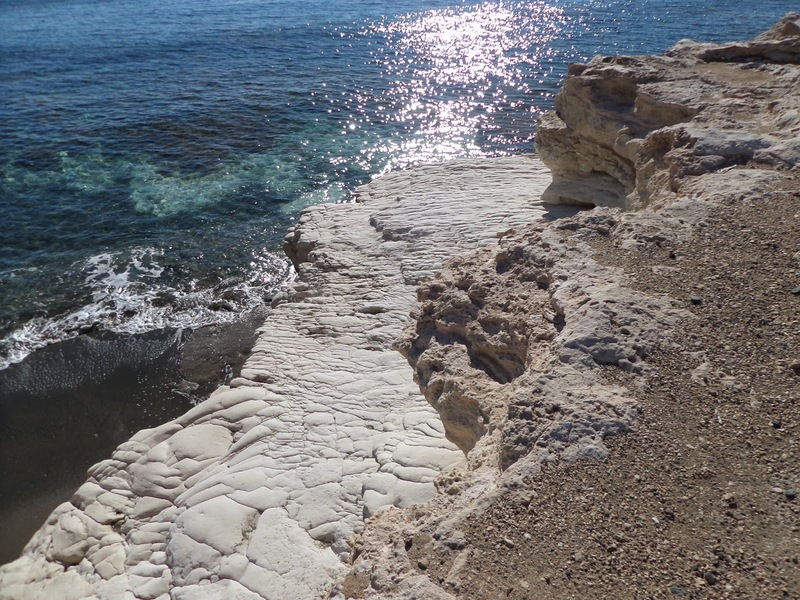 We walked a little further around in the direction of Latchi Beach, but just ambling rather than following the path. 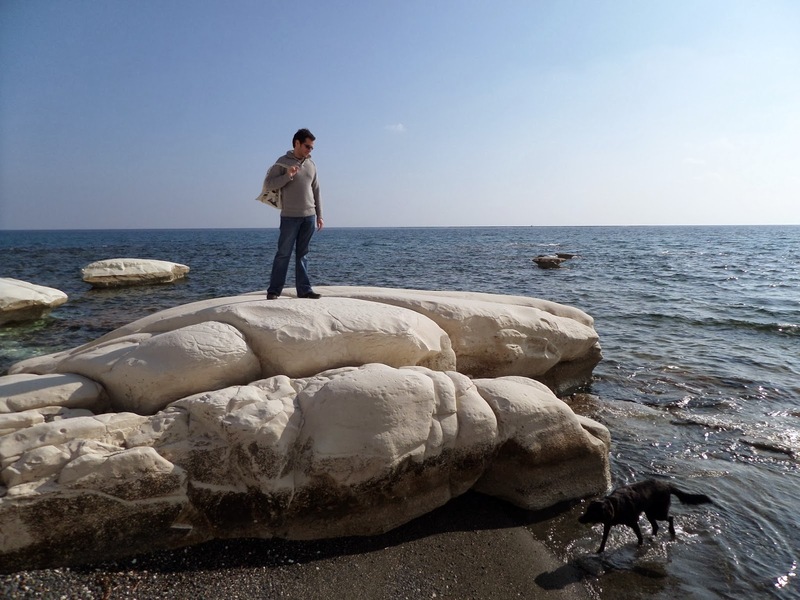 I discovered a couple of small sandy beaches, and plenty of areas of smooth rock where we might be able to risk a quick summer swim with our dog.